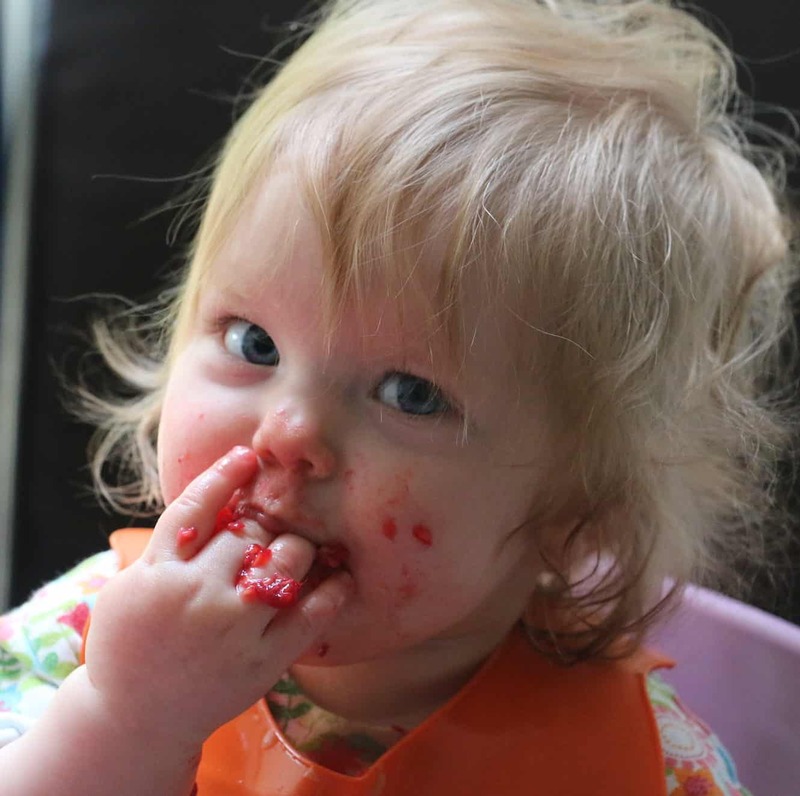 If you have not discovered the magic of a feeding tray that sticks to the table, you are in for a surprise. No more plastic bowls flying around your kitchen, I promise. I used this mat with my third baby and the difference with my two previous experiences of starting solids was dramatic. 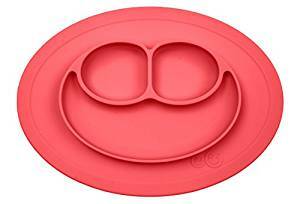 The EZPZ silicone dishwasher-safe tray has divisions too so if your baby or toddler does not like his food to touch, it is a perfect choice. You can see examples of ezpz meals here. Did you notice that when babies learn to self-feed with spoons, they cannot scoop the food yet? This is a challenging and elaborate movement to manage at early stages. But with the NumNum pre spoon, they can start learning as soon as they can hold it in their hand. 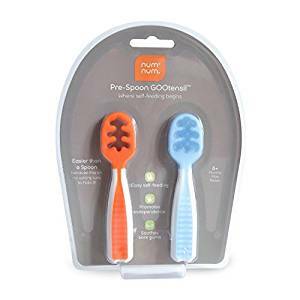 The groves are specially designed to help the food “stick” to the spoon so even if your little one is not very good at scooping yet, he can actually get some food in. What a boost in confidence! I honestly think it is one of the best lunch boxes out there. We have been using ours for (drum roll, please) 7 years and it can easily go for 70 more, I think. We only change the canvas carry bag every 3-4 years because ….kids. 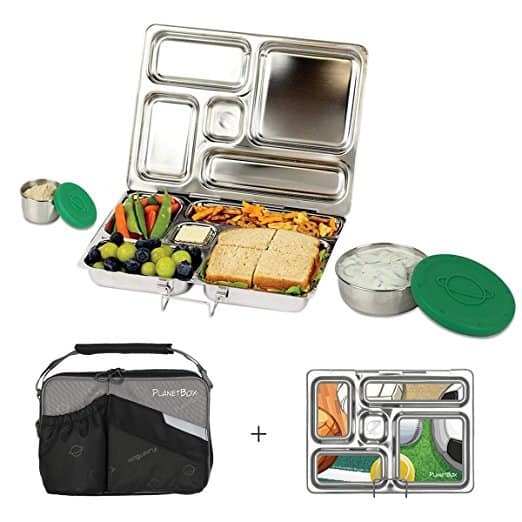 The stainless lunchbox is very practical, I just throw in into the dishwasher and the next morning it is good to go. I am so happy for the owners of this amazing company to have grown so much! It is a pricey option but, honestly, if you want to make a mom you know happy, it could be the best gift that keeps serving years after years. Oh, and if you know a creative kid, have them design their own magnet stickers for the lunchbox lid. My 9-year-old did it last year and you should have seen her happy face when they arrived in the mail. 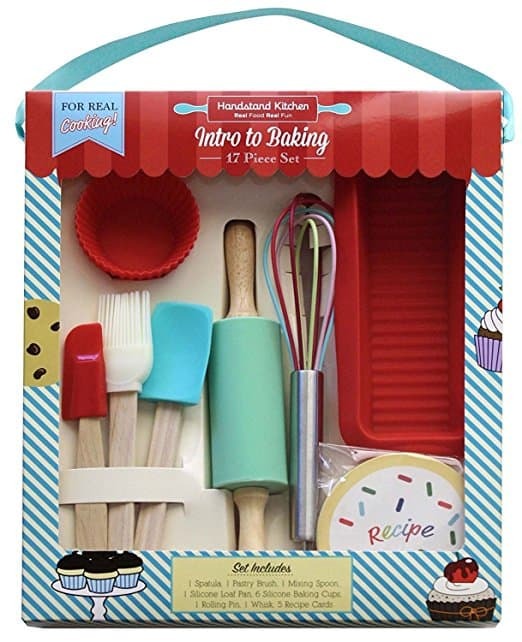 This is a great gift for a novice baker. It feels so special to have your own child-sized tools for yummy creations. It comes with 5 recipe cards so you will get some inspiration from the get-go. I love how this book promotes the enjoyment of food above all. “Where enjoyment goes out of eating, nutrition suffers, ” says Ellyn Satter, the Registered Dietitian behind the Division of Responsibility in eating. I could not agree more. It is very refreshing to finally step away from the black and white thinking about food and nutrition. Even the book’s cover sends a message that “all foods fit”, featuring fruit and veggies alongside cupcakes and butter, of course. These little guys are my hard-working kitchen helpers. From cookies to veggies and from fruit to sandwiches, they cut everything into super cute shapes that kids love. 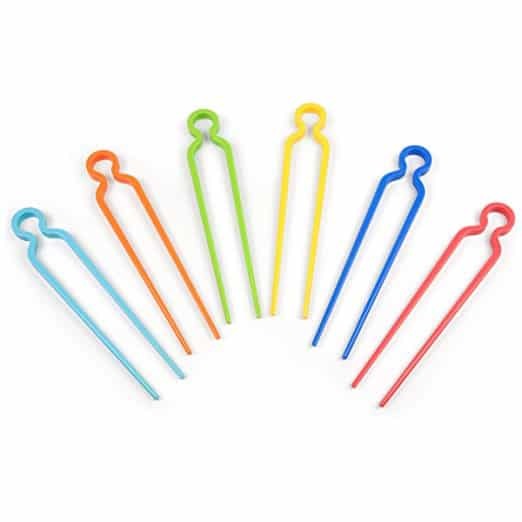 This newer option comes with silicone holders which makes them even more child-friendly. The first few times I posted pictures of my kids using Curious Chef knives I got an avalanche of questions about them. Not surprising, since they are light and easy to use, child-safe but actually doing a really good job slicing and chopping. And now the company came up with a mega-collection of child-friendly kitchen tools, from a pizza cutter to vegetable peeler. Hooray! Here is what exactly the set includes: a rolling pin, pizza cutter, large spatula, medium spatula, large spoon, medium spoon and 3 knives (large, medium and small), a pastry brush, 6-piece measuring cup set, 6-piece measuring spoon set, whisk, cookie turner, frosting spreader, vegetable peeler, tongs and ice cream scoop, plus a poly spoon. 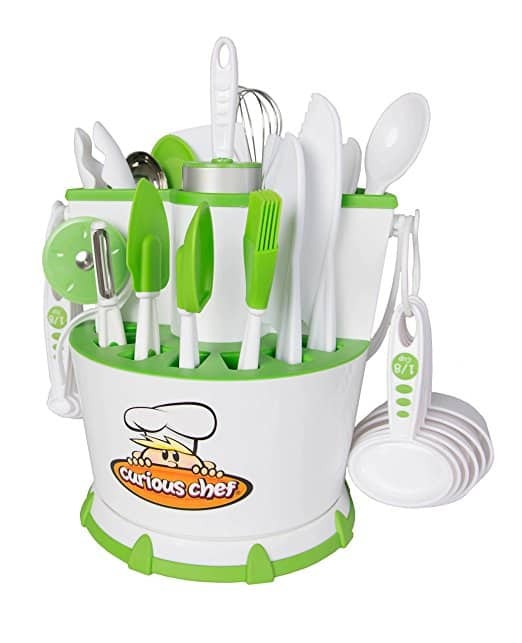 What an amazing gift for a kid who is curious about cooking! This is a must for all Disney fans, small and big. 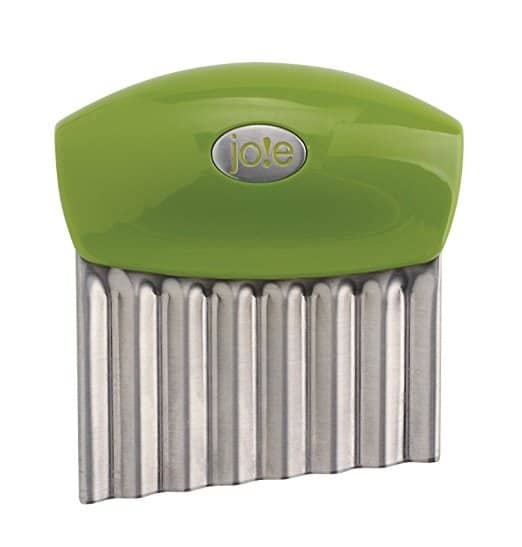 And did you know you can also use it to make omelets and toasted sandwiches with fillings? 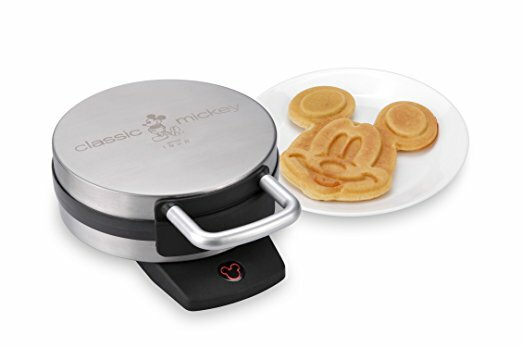 Kids will love to help prepare their breakfast using this cute gadget. And check out that special start button! 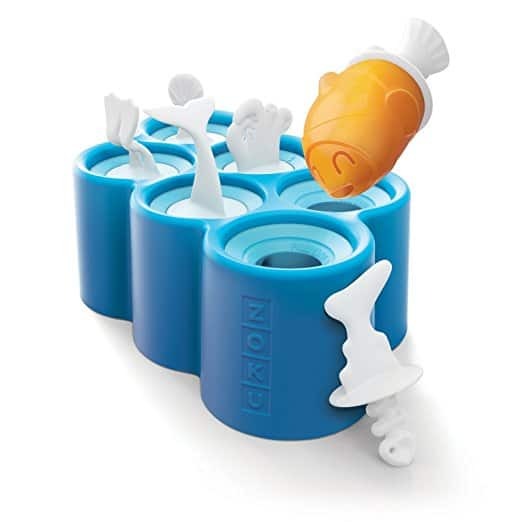 This popsicle mold puts a fun spin on a nutritious snack. You can freeze pretty much anything in them, from breastmilk to fruit and vegetable smoothies. We make smoothies almost every morning and then use our molds to freeze the leftovers. No waste and a yummy snack always on hand. This is another tool that I am getting lots of questions about. Some people call it a crinkle cutter because it makes fun grooves on the food. We use ours to cut fruit and veggies for roasting and salads. 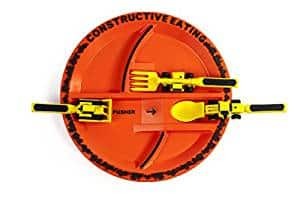 But when the kids were babies, it doubled as a finger food cutter, because the grooves it makes on food make it easier for small hands to grab and hold it, especially if it is slippery. 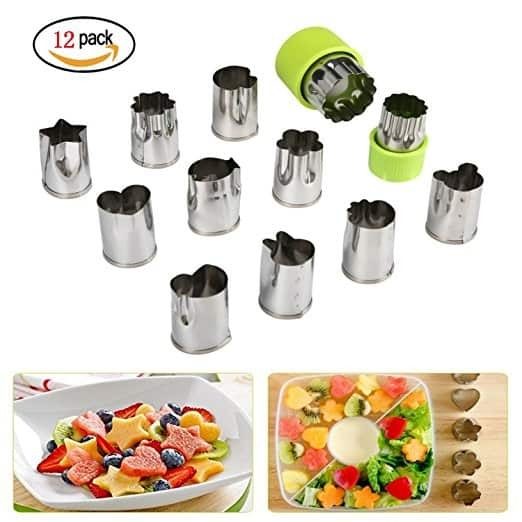 Some examples of finger foods we created using this wavy chopper/crinkle cutter: mango, avocado, kiwi, pineapple, very ripe pear, steamed carrots and apples sticks and slices. 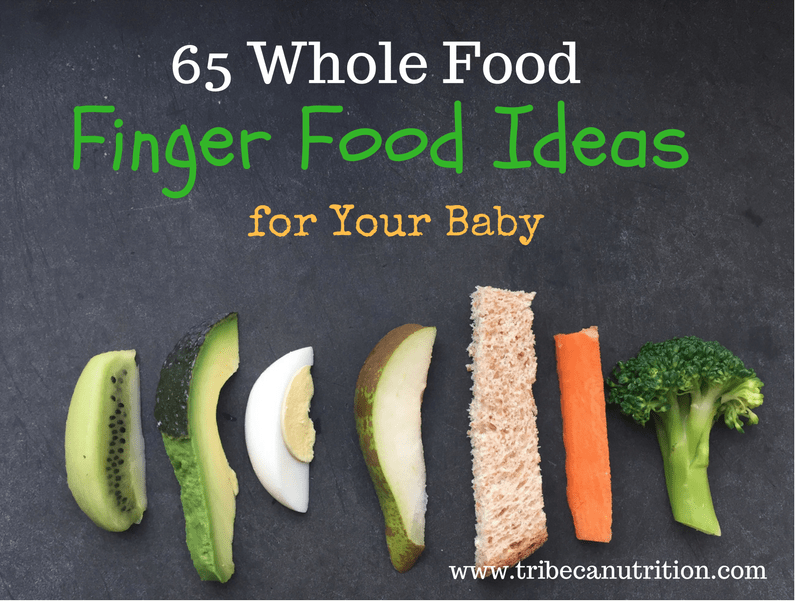 Read more about safe and nutritious finger foods for babies. A perfect way to eat for a car-obsessed kid is with spoons and forks on wheels, of course. 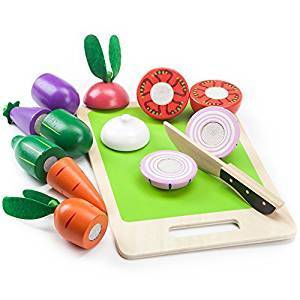 The huge fun factor is accompanied by a practical bonus of teaching kids how to use utensils with both hands and learn to scoop food on the fork with the prototype of a knife – a special pusher. OK, so maybe “wedgie” will become a very popular word in your household, but this hilarious book seems to be totally worth it. 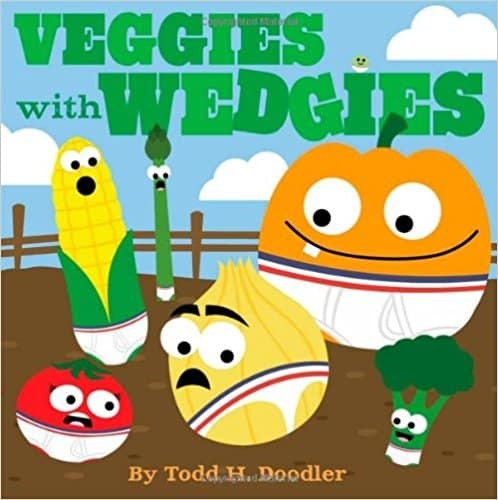 What a great idea to combine what kids find hilarious (underwear) with something they often consider boring (vegetables). I consider it one of the most fun pressure-free ways to expose our little ones to less preferred foods so they could eventually learn to enjoy them. When I serve a meatball to my three-year-old, it often stays uneaten. But guess what happens if I cut it into pieces and use little food picks for her to eat? Yes, everything gets gobbled up. 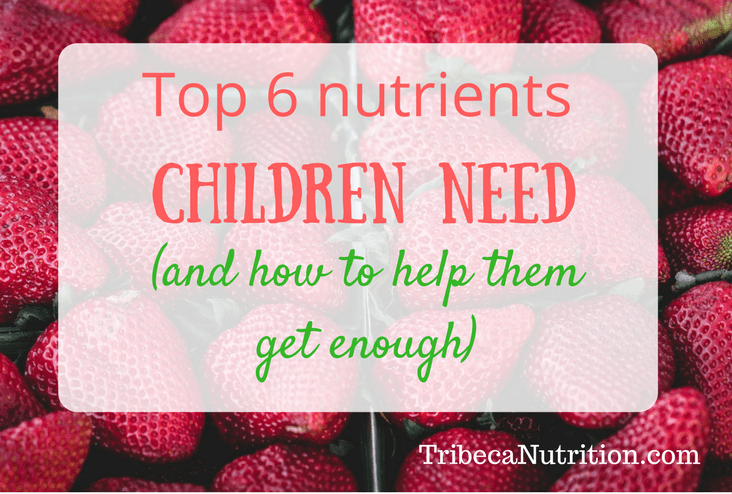 It may not work the same magic with your child, but will definitely help reduce mess for kids who are still learning to self-feed and are not so good with utensils. 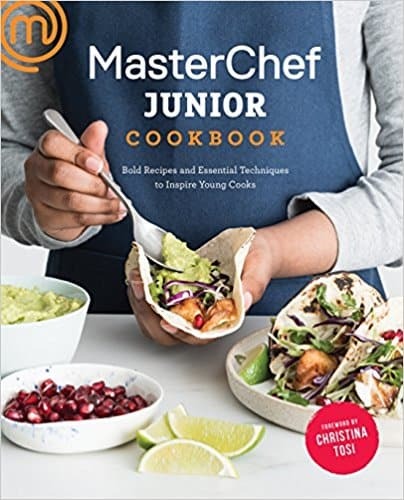 This cookbook is definitely not for beginner chefs but could be a perfect gift for a preteen or a teen who has grown out of kids recipes and is ready for the challenge. Even parents can pick up quite a few cooking techniques while helping their future MasterChef Juniors in the kitchen! 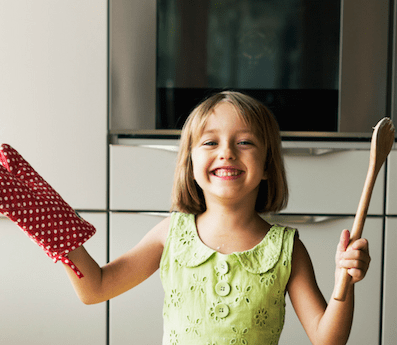 The best part that some recipes come directly from the show contestants so if your child is a fan, she will be even more inspired to give them a go. 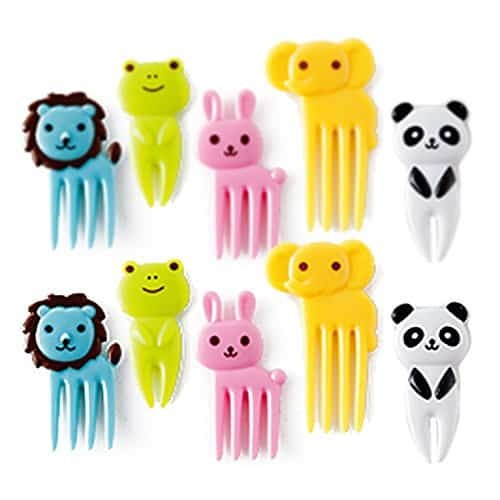 A great transitional tool for kids who are learning to eat with chopsticks. The extra fun factor is always a plus at mealtimes. You can use it not only with sushi but with pretty much any food cut into small pieces. I think I was one of the last food bloggers to join the spiralizer craze but I am hooked for life! 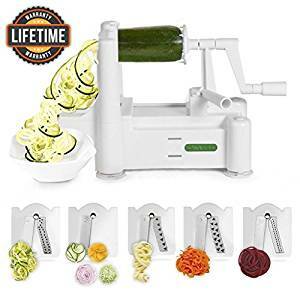 Kids love helping me spiralize fruit and veggies into fun shapes and it saves a lot of time spent chopping and slicing. We spiralize raw fruit just for fun and to use in salads and roast spiraled root veggies like sweet potato and beets. Raw spiraled zucchini, carrots, jicama and celeriac work great in salads. Disclaimer: Please note that all opinions are my own and I was not paid to promote any of these products. The post contains affiliate links which allow me to earn and small commission to help running this blog. Thank you for your support! Starting solids the easy, safe and stress-free way! Let me show you how to safely and successfully introduce solids to your baby with my step-by-step system, recipes, meal plans, and guides. 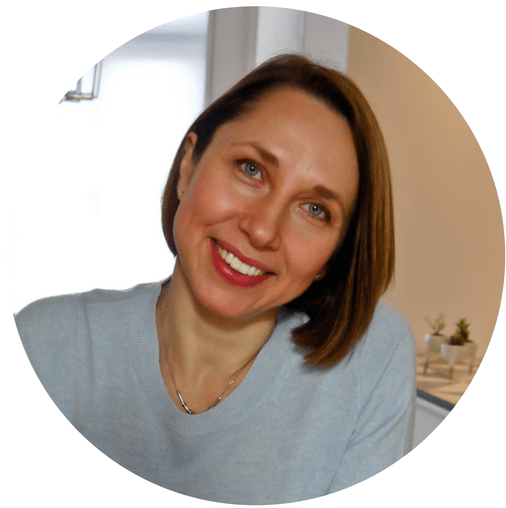 I am Natalia, a registered dietitian, child nutrition expert and mom of three. 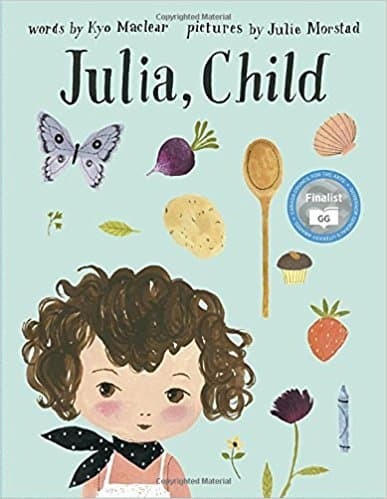 I love helping families raise healthy and happy eaters, resolve feeding problems, eat well with food allergies and enjoy family meals in simple and delicious ways.